Donna Kshir is a child advocate, mom and grandmother to two amazing little boys who knows reading aloud to your children is an important movement to stimulate language, build word-sound awareness, create motivation, curiosity and memory. Buy now in Paperback or eBook formats! 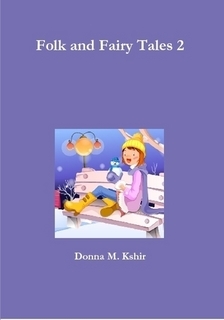 Folk and Fairy Tales 2 is a collection of entertaining short stories and poems that are stimulating, witty, charming, surprising and a satisfying reading experience for children. Each adventure is exciting, filled with cute, colorful illustrations that enhance the book. This is a book children will love. As a mother, aunt and grandmother, Donna Kshir knows reading aloud to your children is an important movement to stimulate language, build word-sound awareness, create motivation, curiosity and memory. She captures the attention of her young audience while challenging their imagination and intellect. All cartoon clipart stock illustration. Royalty-free instant purchase with immediate digital download. Note: This book is in color. However, it is also available in a more affordable version of black and white. Buy now in Paperback or eBook formats!! ​Hayden has a love for storytelling. He shares many stories with his grandparents Roger and Donna Kshir. The three year old created, The Legend of Pink Foot. Donna loved it so much she decided to publish it. For the sake of creativity She encourages other children to express themselves. Hayden handpicked each cute and colorful illustration. Buy now in paperback or eBook formats!! 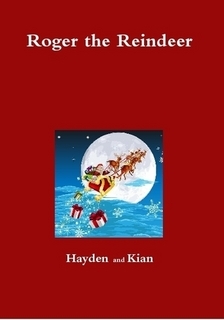 Hayden and Kian have a love for storytelling. 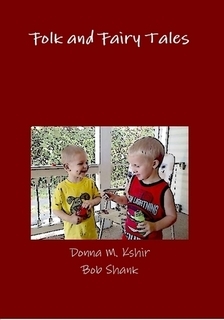 They share many stories with their grandparents Roger and Donna Kshir. Together the pair of three year olds created, Roger the Reindeer. Donna loved it so much she decided to publish it. For the sake of creativity she encourages all children to express themselves. Hayden and Kian handpicked each cute and colorful illustration. ​Buy now in paperback or eBook formats!! Three little golden retriever puppies are forced to leave the family dog house. As they venture out into the world on their own, their mother warns them to beware of the big, bad dog catcher. As each build their own dog house, each experience a different situation with the big, bad dog catcher. 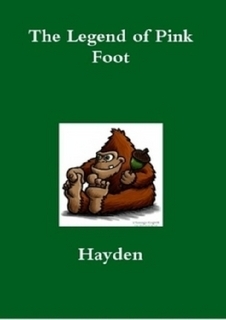 Their adventure is exciting, filled with cute, colorful illustrations that enhance the book. This is a book children will love. ​Available in paperback and eBook formats! !